Today, America has perhaps the largest, most vibrant, diverse and democratic poetry communities in the world. And despite the in-fighting, despite the poetry-apocalypse watchers who will have us believe poetry in America is a dying art – thanks to an abundance of MFA programs, small magazines, poetry websites, and poetry slams/open mics – it is apparent that such things are evidence to the dynamism and vitality of poetry in America. 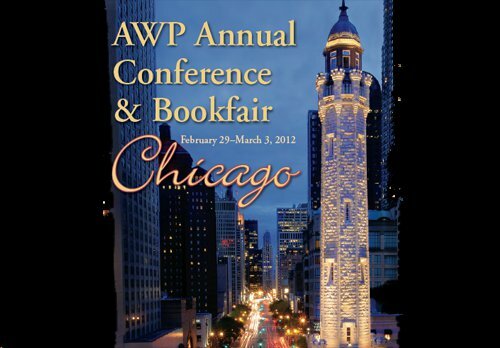 All it takes is a visit to the Association of Writers and Writing Programs annual conference and bookfair to see the vitality and diversity of American poetry. Although often maligned by critics of American poetry, the annual AWP conference brings writers–more than half of them poets– of all ages to an American city for panel discussions, readings and camaraderie. This year, more than 10,000 writers congregated in Chicago, where poetry panel topics ranged from Emily Dickinson’s lasting influence to writing political poetry, both in America and abroad. L-A-N-G-U-A-G-E poets, traditionalists, and performance poets, academic poets and street poets all show up, sitting in hotel bars and outlying coffee shops, talking about their work and the work they admire. At the Saturday night reading by current Poet Laureate Phillip Levine and British Poet Laureate Carol Ann Duffy, more than 1,000 people listened raptly as these two poets read selections from two lifetimes of poetry. With more than 600 exhibitors, the book fair clearly displays the diversity and vitality of American poetry because we don’t only see the work of the writers, but also the work of those who love poetry, the unsung heroes of contemporary American poetry: the editors, publishers and literary arts activists - many of whom do this work as a second (or even third) job - often spending money out of pocket in order to keep publishing the work of writers they admire. Small presses and magazines publish poetry in anything from hand-bound letterpress editions, to print-on-demand slick trade paperbacks, to online journals featuring audio files of poets reading their poems. Advances in technology have allowed for more small and niche-market publishers to rise in the last 20 years, and this, coupled with a DIY spirit and the rise of MFA programs that build a diverse reading audience and a sense of community among writers, has led to more titles of poetry being published than ever before. Tree Swenson, who recently stepped down as executive director of the Academy of American Poets, referred to much of the mid-20th century as poetry’s “Dark Age–when poetry books rarely sold more than a few dozen copies and the idea of making even a modest living from poetry would have been considered folly or worse.” The recent years, it may be argued, are poetry’s golden age. Critics of the MFA boom will argue that perhaps not all of today’s poetry is good–they talk about the so-called “workshop poem,” saying that so much poetry today sounds the same. They harken back to a golden age of poetry that, quite frankly, never existed. A glance through the 1890 collection Poets of America illustrates this point. With nearly 3,000 poems in the book, the ‘name’ poets are all there (Whitman, Whittier, Emerson), but so are countless forgotten ones (no doubt forgotten because of how similar and derivative the poems are). At the time though, those poems were part of a dynamic, community-driven poetry scene, with many of these poets appearing in their local newspapers. Few complain about local art shows in which a diverse range of painters show derivative still lifes. Few complain about bad baseball being played in fields across America. Few bemoan the average rock bands in local bars. But once mediocre poetry is published, the poetry Chicken Littles come out in force – embodied in the criticism of people such as Anis Shivani–saying the poetic sky is falling. 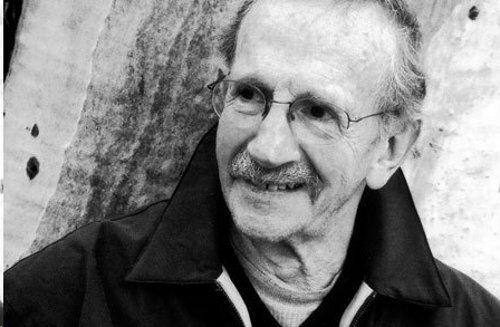 Poet Bob Holman, founder of the Bowery Poetry Club, suggests that the MFA boom has been one of the two significant changes in poetry recently. And although he refers to MFAs as “a Ponzi scheme,” he suggests that MFA poets “are figuring out new formats or getting their work out there.” This, coupled with the rise of Def Jam and slam poetry, has led to a greater public discourse about poetry. With Def and slam poetry featured on HBO, and with Garrison Keillor’s Writer’s Almanac airing daily on many NPR stations, poetry appears on the broad spectrum of broadcast media and has gained many fans so that “poetry is no longer an elitist pursuit, anathema to real life, obscurantism on toast” Holman explains. 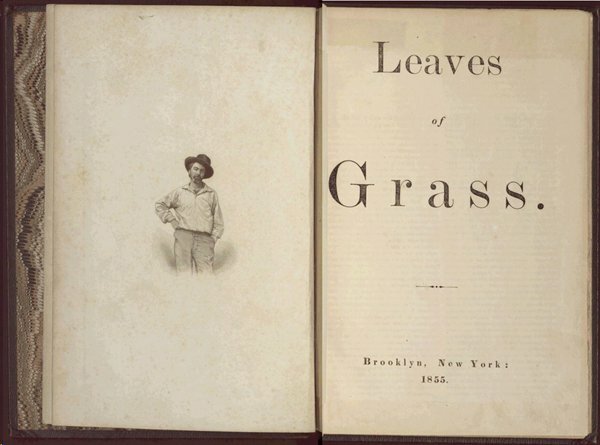 In this way, poetry has returned to its role as Whitman envisioned. Poetry has always had a place in our collective psyche. We expect more from our poets, and we expect that a love of poetry (like a love of opera or jazz) says something positive about us. This is why successful lyricists want to be called poets: It seems more legitimate (though more people know the words to a mediocre pop song than to say James Wright’s “A Blessing”). We don’t have a singer-songwriter laureate, we don’t have a painter laureate, but we have a national poet laureate, and 40 states have poet laureate positions as well. Although on the national level, the Poetry Foundation, the Academy of American Poets, and the Poetry Society of America all play a vital role in the promotion of poetry (for both readers and writers), poetry’s vibrancy today is even more visible at a local, grass-roots level. One doesn’t have to be at one of the many readings each day in New York to see the relevance of poetry in people’s daily lives; one doesn’t have to go to D.C.’s Busboys and Poets, or Los Angeles’ Beyond Baroque Bookstore or San Francisco’s City Lights to see poets reading their work and large crowds gathered. Such events aren’t limited to small audiences at university auditoriums either. Instead, state poetry societies and organizations continue to thrive and foster new work. In Charleston, for instance, the Poetry Society of South Carolina has hosted regular readings since 1920, a series that has boasted appearances by Carl Sandburg, Robert Frost, and Amy Lowell historically but has also included, more recently, Billy Collins (a former poet laureate himself) and lesser-known but fine contemporary poets such as Sandra Beasley and Frank X. Gaspar, as well as local South Carolina writers. In Florida, the Florida Literary Arts Coalition sponsors reading appearances across the state by poets, recreating a sense of the poetry circuit that was popular in the 1950s and ‘60s. In Michigan, Peninsula Writers fosters the creation of new work by sponsoring writers retreats and providing educational opportunities for its members to work with established poets outside of the traditional university environment. The Detroit Public Schools partners with Inside Out, an organization that brings poets–and poetry–into the classroom in order to engage “children in the pleasure and power of reading and writing.” Inside Out founder, poet Terry Blackhawk, says in the short documentary A Poet in Every Classroom, that “poetry is particularly suited to reaching ... young people and reading young minds in a very rich and in a very challenging way.” By providing venues for students to read their work publicly and by publishing their work in annual anthologies, students realize the pleasure and power of poetry and ... self expression .... Experiencing the passion and power of the written word will become an essential part of every child’s education.” Poetry teaches self-empowerment, excites students to read and write, and gives even the most silent voices the opportunity to be heard. Bob Holman notes that poetry is the most intimate of art forms, asking “what other art form has an open mic? What other art form is just the artist exposed?” Even singer-song writers have a guitar or piano between them and the audience. The oral nature of poetry is on display in bars and bookstores, libraries and coffee shops–with open mics, poetry slams, and featured readings. Now poetry films–functioning like music videos–allow poets to collaborate with film-makers in order to bring the oral nature of poetry to a new medium on YouTube and at film festivals. Perhaps there is no place where “wealth and diversity” is on greater display than at the biennial Dodge Poetry Festival in Newark, N.J., which is the largest poetry festival in America. According to the program’s website, the Dodge has “given rise to several NPR radio programs and five PBS television series, including The Power of the Word, The Language of Life and Fooling with Words, all hosted by Bill Moyers and seen by a national audience of nearly 50 million. In 2008, Poetry Everywhere, a series of film shorts by Emmy and Peabody Award-winning filmmaker David Grubin … premiered on WGBH. In the same year, the Dodge Festival You Tube channel was launched.” Poets blogging from the festival have furthered the reach of the event, and everyone on the streets of Newark seem like poets. A street poet who recites poems on the spot for a dollar near Bleecker Street and 6th Avenue put it this way: “You’d be surprised how many people stop for me to drop a poem. People just like poetry.” This seems evermore to be the case. Gerry LaFemina, a contributing writer at Highbrow Magazine, is the author of a book of stories (Wish List), two books of prose poems, and six books of poems, including Vanishing Horizon (2011, Anhinga Press). He directs the Frostburg Center for Creative Writing at Frostburg State University. He divides his time between Maryland and New York. Great to hear a champion of poetry! I recently did a reading for a group of journalists. They loved hearing the poems and asked the best questions. One asked "why don't you have an agent?" Of course I answered "when was the last time you bought a book of poems?" In America we tend to champion that which we can make money from - and poetry is yet to be that thing. Yet, poetry is what we reach for whenever we need to experience something beyond language - to say what cannot otherwise be said...weddings, funerals, birthdays...to express love... for example. I might argue that this is why "poetry" is growing city to city, state to state - because of an emptiness in us (entertainment that goes beyond the superficial) that poetry can fill. The writer of this article has a fundamental misunderstand of poetry, and probably has never read an entire collection of peoms in his life. Another point he misses is that historicaly, the average person doesn't read poetry, just like the average person is half-educated and works at a menial job. The masses have always been a sick bunch, among many things, but recently its gotten worse. I don't know for sure but I think technoclogy has something to do with it, shortening people's attention spans even further. Even more dangerous, the narcisim of knowledge that is rampent, most obviously seen in the modern "techy" who thinks putting a bunch of code together for an improved means to an unimproved end is progress. I don't know, I haven't thought about it enough.